An Outsourced CFO is a financial expert who provides financial strategy services on a part-time or project basis. An Outsourced CFO provides high-level financial strategy, systems analysis and design, and operational optimizations. An Outsourced CFO can also help a company resolve challenges such as cash flow issues, raising capital, solving tight margins, implementing more efficient systems, or preparing for growth. 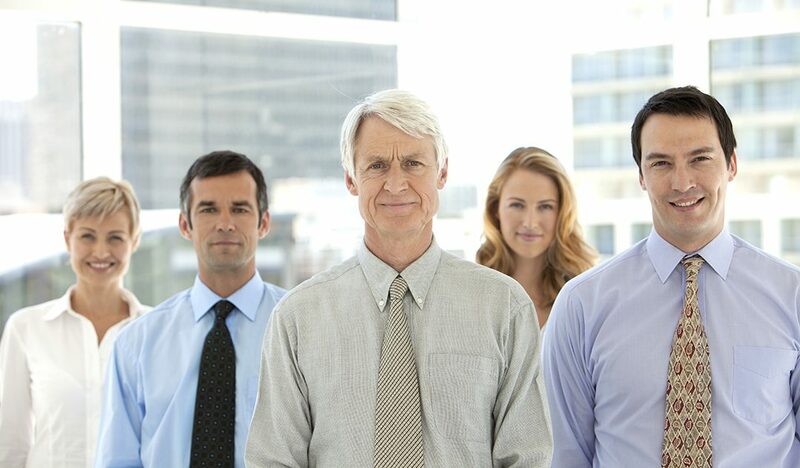 Outsourced CFOs have considerable experience in high-level corporate financial roles. They’ve often worked as CFOs for a variety of public and private companies at many stages of growth and in multiple industries. Currently undergoing growth such as adding new products or expanding into new markets. An Outsourced CFO may have experience with similar products, markets, or industry and can advise on strategy. The outsourced CFO can also assist in cost management, risk analysis, and maximizing margins. Resolving a challenge such as cash flow problems, tight margins, making strategic cost cuts, or operational inefficiency. An Outsourced CFO has most likely solved challenges like yours before and has experience knowing how to most effectively design and implement realistic, long-term change. Raising debt or equity capital. An Outsourced CFO can help with raising capital by providing strategy, assisting in due diligence, attending meetings to establish expertise, advising on the right combination of debt and equity financing, and to negotiating term sheets. Maximize margins by analyzing current costs and pricing structures. Your CFO will be able to analyze your current financial documents to determine improvements that can be made, and to help execute those improvements. Advising and consulting on strategy on a part-time basis. Scaling systems to handle growth and added complexity, including financial, sales, operational, or business systems; new or improved systems need to be put in place. Need for an interim CFO as a full-time CFO is replaced or put into place for the first time. If an organization is currently between CFOs or still determining whether a full-time CFO can benefit their company, they may hire an outsourced interim CFO to manage financial strategy in the meantime. To consult with an existing CFO or financial team. Some organizations may have an in-house CFO, but that CFO may not have experience overcoming a particular challenge or achieving a particular goal (such as systems design, raising capital, etc.). An Outsourced CFO may consult with or advise the existing CFO to elevate the performance of their financial team, elevate overall financial strategy, and transfer valuable skills. Providing a financial forecast. Forecasts are needed for a variety of purposes, including budgeting, fundraising, analyzing the health of a company, projecting growth, restructuring etc. A good Outsourced CFO will have extensive experience in forecasting and will provide a detailed forecast based on your long-term goals. Do I need a Controller, CPA, or CFO? While an Outsourced Controller helps maintain accurate financial records and a CPA or accountant ensures finances and taxes are compliant, a CFO brings financial strategy, insight, and execution that looks toward the future. Why hire an Outsourced CFO over an In-House CFO? While every company can benefit from the high-level strategy, operational fine-tuning, expertise, and business contacts of a CFO, not every company is in a position to hire a full-time CFO onto their team. An in-house hire typically means an annually salary plus benefits which, for a c-suite executive can often be cost-prohibitive, especially when you consider annual raises. To hire an affordable CFO, many organizations have to sacrifice experience level to make a practical hire. When you hire an Outsourced CFO, however, your dollar “goes farther” since you’re essentially “sharing” the CFO and only paying for the time and expertise you require. For a similar monthly cost (or less) and without benefits or annually raises, you can hire an outsourced CFO with extensive experience. You can also partner with a CFO who has specific experience in whatever challenge you may be facing at a given time. In general, Outsourced CFOs tend to have a wide range of project, company size, and industry experience. They have often seen companies like yours before and overcome challenges—this means you have a seasoned pro at your side to help you achieve your growth goals. Finally, the strongest Outsourced CFOs have access to a full range of finance and accounting talent, allowing them to assemble temporary or long-term teams to achieve key objectives for their clients. In fact, one of the most valuable benefits of an Outsourced CFO is the ability to deliver scalable teams with a variety of skillsets and industry experience–in some cases at or below the cost of a dedicated, full-time CFO. 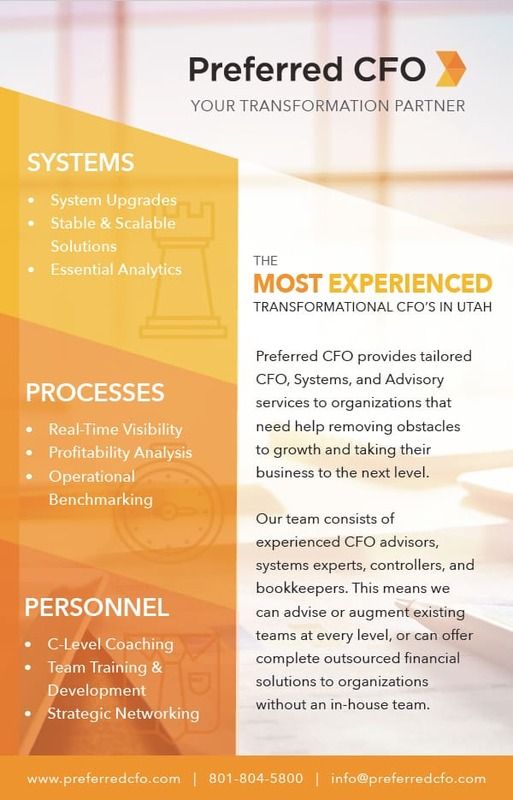 How can Preferred CFO help you achieve your goals? Download our growth brochure for more information. Outsourced CFO services provide spot-on, high-level financial analysis of your cost and profits to help you plan strategies to deal with the financial problems or concerns you face.